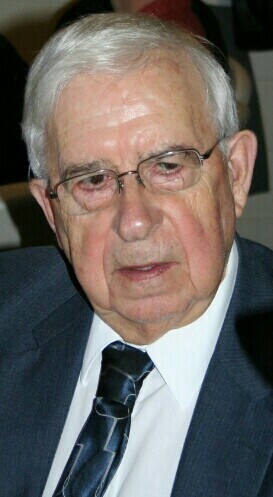 Derald F Wilcox Sr, 85, died Thursday March 7th. He was born September 6, 1927 to John and Lenora Wilcox in Sioux Falls, SD. He grew up and attended school there. He married Shirley L. Brooks on February 16, 1948, had 13 children and enjoyed 65 wonderful years of marriage. He was a member of St. Lamberts Catholic Church. Derald was employed with Horner Box, Champion Int, Horner Waldorf Paper and Smurfit Stone for 33 years before retiring. He very much enjoyed his woodworking projects and the never ending family picnics and gatherings. Derald is survived by his wife, 5 sons: Robert (Denise) Wilcox of Ogden UT, Tom (Mary) Wilcox of Sioux Falls, Victor (Shelley) Wilcox of Colorado, Richard (Sara) Wilcox of Sioux Falls, Dominic Wilcox of Sioux Falls; and 6 daughters; Patty (Jim) Carlson of Sioux Falls, Gloria (Darwin) DeJong of Sioux Falls, Cindi (Dave) Miller of Sioux Falls,Â Shelly Carlson of Brandon, Becky Alexander of Springtown TX, and Carolyn Kay (Rick) Carlson of Sioux Falls. He was the proud grandfather to 40 grandchildren, 64 great-grandchildren and 1 great-great grandchild. His siblings include brothers, Harold (Talhou) Wilcox of Kansas City, MO, twin brother Dewane (Carol) Wilcox of Sioux Falls, John (Janet) Wilcox of Sioux Falls, and Gary (Jane) of Sioux Falls; sisters Marie Bingen of Sioux Falls, Deanna (Berneil) Severson of Sioux Falls, Barbara Quittem of Sioux Falls, Mary May of Missoula MT and Kathleen (Richard) Stevens of Sioux Falls. Derald is preceded in death by his parents, infant brother Elmer, sisters Patty Wilcox, Bernice Hoover and Lucy Simonson, son Derald Jr, and daughter Linda Wentzel. Visitation will be Sunday, 6 PM at Barnett-Lewis Funeral Home with a Scripture Vigil at 7 PM. Mass of Christian Burial will be Monday, 10:30 AM at St. Lambert Church.